I love doing things naturally when possible. Especially cleaning supplies! 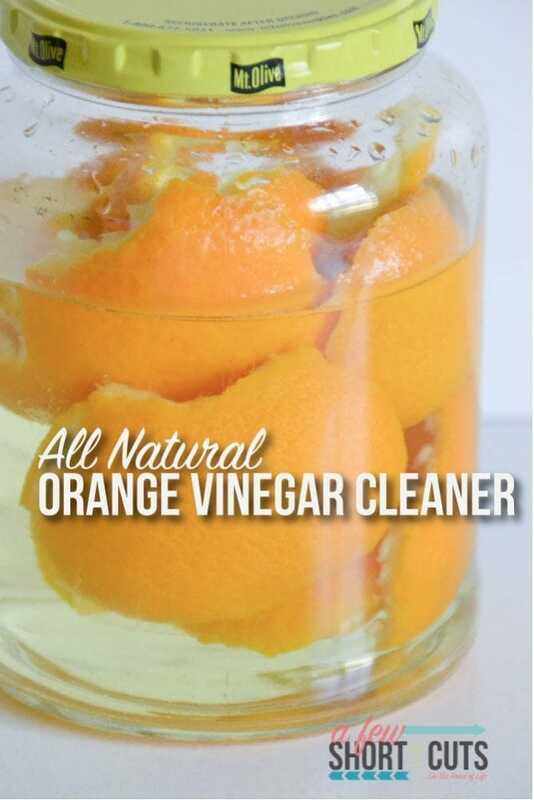 That is why i love this All Natural Orange Vinegar Cleaner! This stuff cuts grease and cleans surfaces like nobody’s business! Plus the Orange peel cuts the strong vinegar smell and it smells sweeter and non-offensive. I used an old pickle jar but any mason type jar will do. Just let the Orange Peels sit in the vinegar for at least 1 week and you are good to go. If you don’t want to wait you could do this with vinegar and a few drops of orange essential oil. I used an old pickle jar that I washed out. 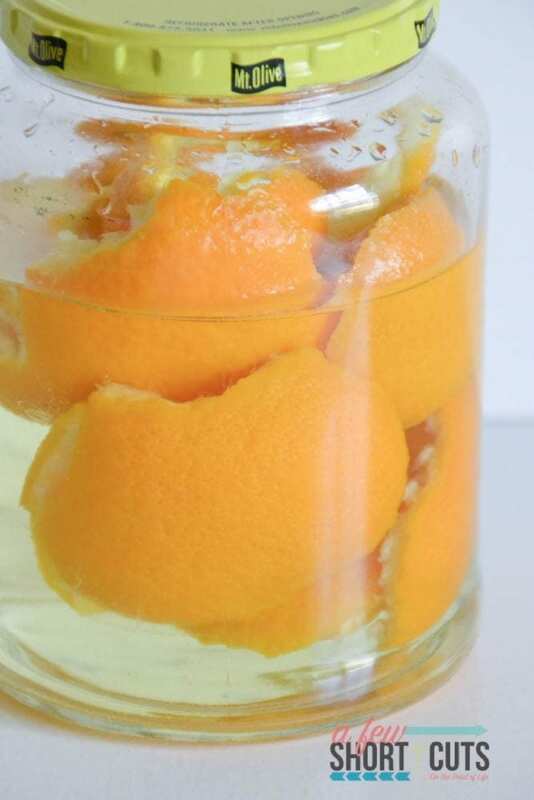 Fill the jar with the orange peels then top with the white vinegar. Put the lid on and let it sit for one week. Once it has sat for awhile, fill a spray bottle with the vinegar and use it to clean all over your house.